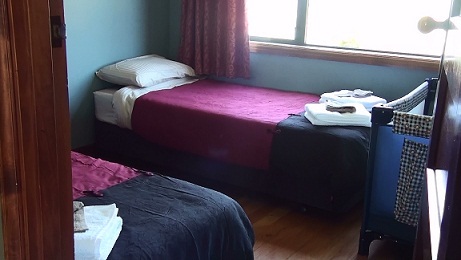 Kepler Oaks 2 bedroom Farmstay accommodation in Te Anau. Learn more about Kepler Oaks. The Kepler Oaks Chalet has panoramic views from every window, but is totally private from our home. You can sit on the porch with a coffee or wine, relax and enjoy the glorious views, the birds singing, and the fresh smell of New Zealand's native bush. Our pets include horses, dog, cat, sheep, chickens and rabbit. The chalet is self-contained. It has an oven, fridge, microwave, sink, cooking equipment, basic pantry items, washing machine, TV, free Wi-Fi access, magazines, and large bathroom with spa bath. The chalet sleeps 5 - it has a queen bed in one bedroom, 2 single beds (which can become a king on request) in the second bedroom, and a mattress available for an extra person. Baby equipment, toys and bikes can be arranged if needed. 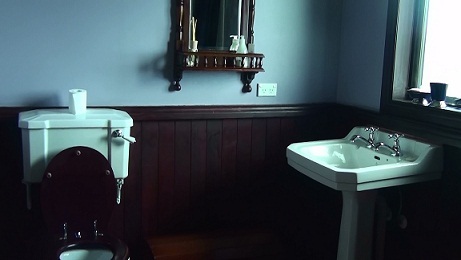 Quality furnishings, cotton linen and towels make the chalet ready for a delightful stay. Double-glazing, electric blankets and a multi fuel fire make for a cosy time in winter. 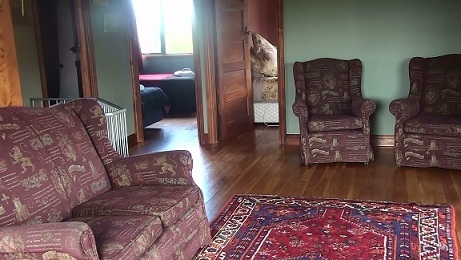 We also have a loft available in the homestead which can sleep two people. Chalet rates are $250 for 2 adults, and up to 3 children under 12, or for extra adults there is an additional charge of $25 per person. Please enquire or get a quote online now, discount for longer stays and out of season rates. Continental breakfast provisions provided in the Chalet. Meals may be available on request (menu and price depends on what is available). Complimentary baking on arrival. Complimentary bottle of New Zealand wine if staying for 2 or more nights.